Though most people think of Rosemary in a cooking/kitchen context, for centuries, various cultures have recognized this essential oil for its energizing scent and internal benefits. Derived from the leaf and flower part of the evergreen shrub it is collected through steam distillation. Hebrew, Egyptian, Roman, and ancient Greek cultures considered Rosemary to be sacred and it was a favorite of revered healers. In the kitchen, it is frequently applied to turkey, chicken, roast lamb, pork, stuffings, and other food products. With an aroma described as herbaceous and camphoraceous, its main constituents are 1, 8-cineole, a-pinene, and camphor. Rosemary blends well with tea tree, pine, peppermint, lime, lemon, lavender, pink grapefruit, eucalyptus, citronella, black pepper, and other essential oils. Up to four drops can be put into your favorites diffuser and used to help maintain concentration and a clear mind. For topical use, it can be combined with fractionated coconut oil to fight eczema and acne, tighten lackluster skin, and constrict pores. Additional attributes can include uses against swelling, flu, colds, sinusitis, tonsillitis, blemishes, premature graying, hair loss, oily hair, cramps, bruising, muscle soreness, headaches, arthritis, bronchitis, asthma, physical fatigue, and much more. 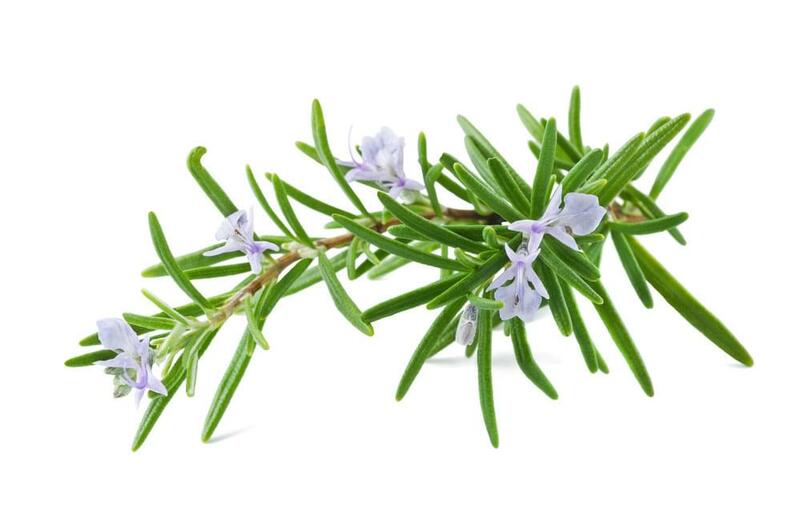 Rosemary is said to be not only a restorative stimulant but useful as a diuretic, digestive aid, antiseptic, and etc. Avoid contact with sensitive areas such as inner ears or eyes. If you are under a doctor’s care, nursing, or pregnant consult a physician before using. Always keep out of reach of children. Some individuals with sensitive skin may have reactions to certain essential oils, including rosemary.